Process control is something all print service providers, brands and brand owners should be doing every single day, but very few actually do. It is not difficult, but the comparison of the great companies that do it is like comparing Formula 1 to lawn mower racing. 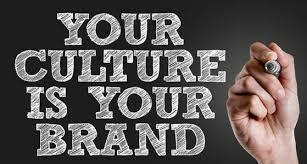 It is all about culture: leadership, vision, planning, empowerment, buy-in, investment in staff & technology, processes, operating procedures, goals, planning, control systems, values and extraordinary communication. STEP 1: Buy-in needs to start at the highest level of management. Managers and owners need reports to manage the health of their companies. All companies have income statements, aging reports, cash flow reports and balance sheets, to name a few. Where’s your color report? How consistent are your printing devices preforming? How are you measuring the performance of your operations? Start producing color reports across the entire facility. The great companies do this on every single job, multiple times throughout a run. How are you measuring the performance of your staff and how are you rewarding them for consistently maintaining quality, which ultimately is maintaining customers. To make this happen consistently, there must be accountability and responsibility assigned to personnel. Actions and consequences, if there are consequences when the reports are not delivered in a timely manner and on a regular schedule, you can bet there will be color reports delivered regularly and timely. STEP 2: If your printing company has the tools and trained personnel to perform calibrations on digital devices — and they can perform G7®plate curve adjustments for analog/conventional devices —then you have the basic tools to start a process control program. The only part missing is establishing baselines for the printing devices, and then measuring and monitoring device consistency over time. Doing so will allow production staff to “see” when a device is going outside its limits of color consistency and needs to be recalibrated to bring it back into compliance. You cannot drive a car, for example, without steering, or there would be an accident. Even when the road is straight, the car will not stay on the road without your intervention. The same goes for printing devices. If you are not monitoring how the device prints, you are not in control and the results will vary and they will vary greatly. STEP 3: Write documentation on how to do all this and have all involved personnel be a part of this process. This is called a Standard Operating Procedures (SOP) document. An SOP document is a living document that defines each process, the tolerances and steps to keep each process in control. SOPs need to change over time to stay current as new processes emerge and new equipment is added. Idealliance writes a tremendous number of SOPs for customers around the world. STEP 4: Make it part of the job requirements for each department to measure, monitor and manage their printing devices to the SOP document’s specifications. This must include regular reports that go to upper management, so they can monitor the consistency within their company. It could and should even be created into marketing collateral that is presented to customers and prospects to highlight that your company has their “poop in a group”. Idealliance, a global think tank, is a non-profit graphic communications industry organization with 12 strategically located offices around the world. Idealliance serves brands, OEMs, service providers in print and packaging, content & media creators, fulfillment, mail delivery, creative agencies/teams, material suppliers, and innovators & developers worldwide. We do our work through ISO Standards Innovation, Print and Digital Workflows & Technologies Development & Integration, Technical Research & Industry Insights, Certification, Training, Brand & Facility Auditing Programs, and serves as a Global Super Connector for brands, service providers, & OEMs throughout the world. Our specifications have transformed the graphic communications industry by defining production workflows for color (GRACoL®, SWOP®, XCMYK™, G7®, BrandQ®), content management (PRISM®), mail supply (Mail.dat®, Mail.XML™), and paper (papiNet®). Idealliance is the world’s foremost certifying body for competencies, systems, materials and facilities, and Idealliance, a Liaison ‘A’ to ISO TC130, is one of the world’s largest contributors and developers of ISO standards.